Since Father’s Day is Sunday, Ashley, and I wanted to come up with a recipe that left dads, grandpas and men-alike, happy campers. 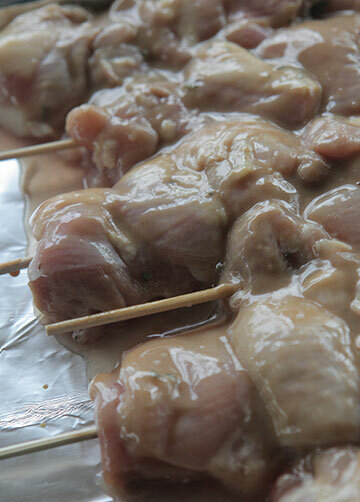 These savory Maple-Dijon Chicken Skewers had our handyman, super-builder, can-create-anything guy, Brian, sniffing around the grill, asking what we were up to. 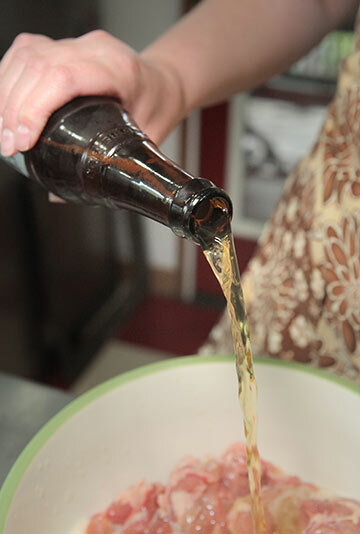 (Okay, our recipe does involve beer.) 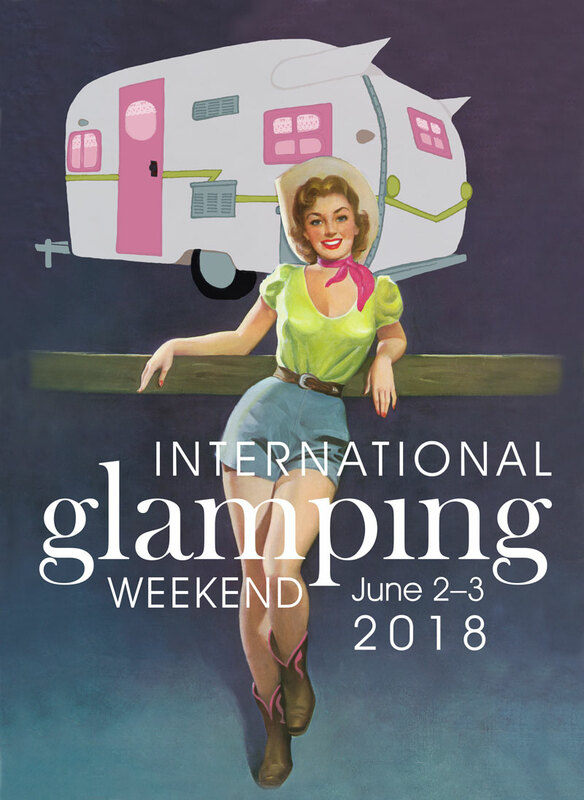 You know the saying, “If you grill it, they will come.” Go ahead, show ’em you aren’t chicken at the grillin’, or rather, you’re THE chick grillin’. 1. Soak wooden skewers in water and set aside. 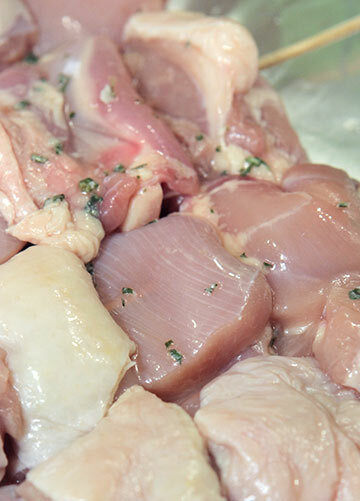 Remove the bones from the chicken thighs, and cut each thigh into six equal portions. 2. 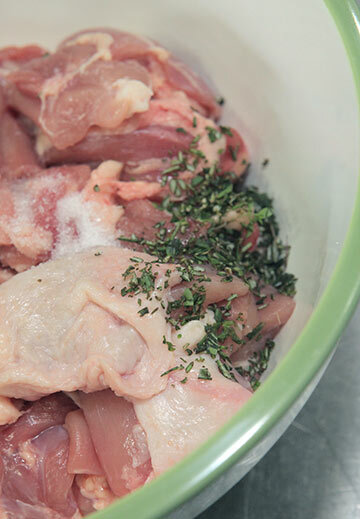 Place chicken in a medium bowl. 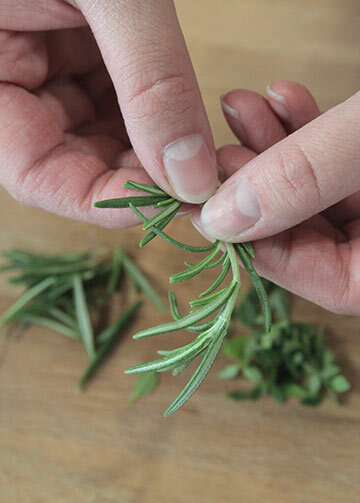 Add thyme, rosemary, and salt. Stir to combine. 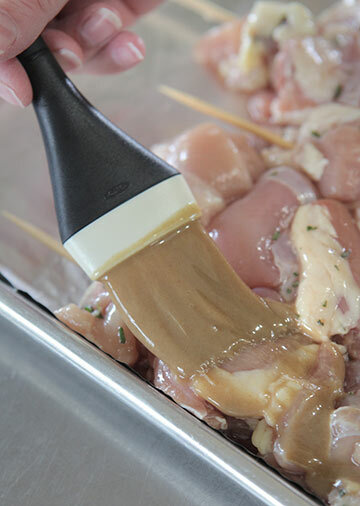 Pour in beer until it covers the chicken. 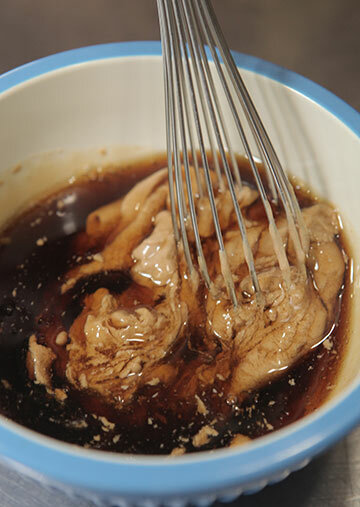 Cover bowl, refrigerate, and marinate for 2 hours. 3. Remove chicken from refrigerator. 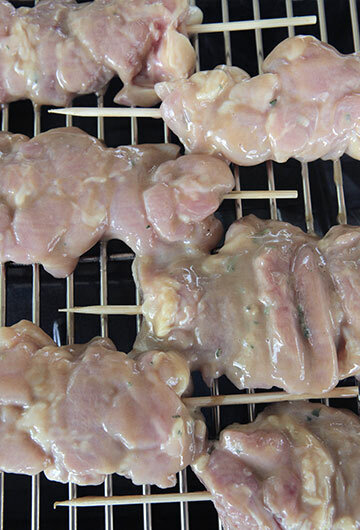 Put 4 pieces of chicken onto each wooden skewer. Preheat grill. 4. 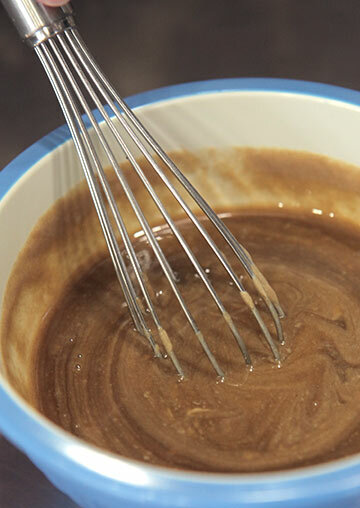 In a small bowl, whisk together Dijon mustard and maple syrup. 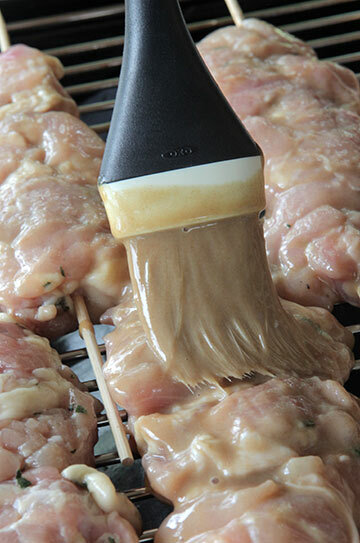 Baste sauce onto one side of the skewers. 5. 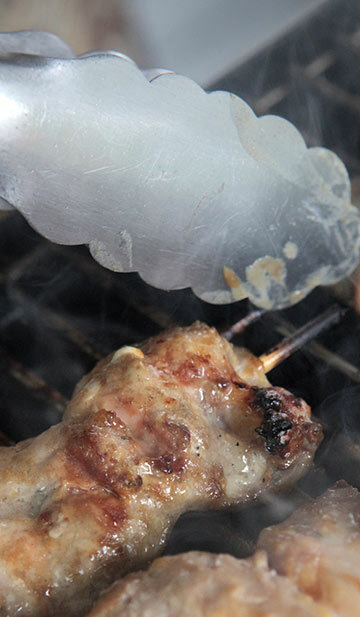 Place skewers onto hot grill, basted side down, and baste the other side with the sauce. Cook for about 6 minutes, flip over, and baste. Cook for another 6 minutes, flip over, and baste again. 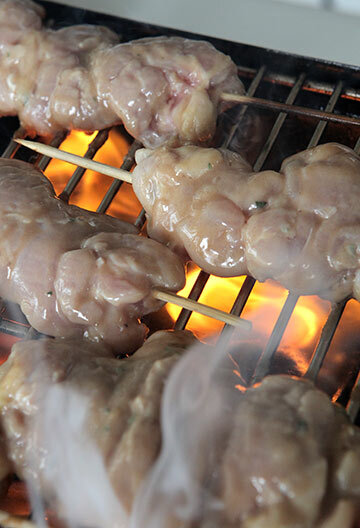 Cook for 3 minutes, flip the skewers over and cook for another 3 minutes. 6. Remove from grill and feed ’em! 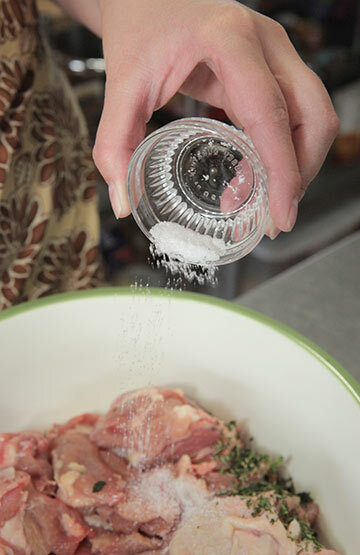 Gather ingredients. Soak 12 wooden skewers in water and set aside. cut each thigh into 6 equal portions. Place in a medium bowl. 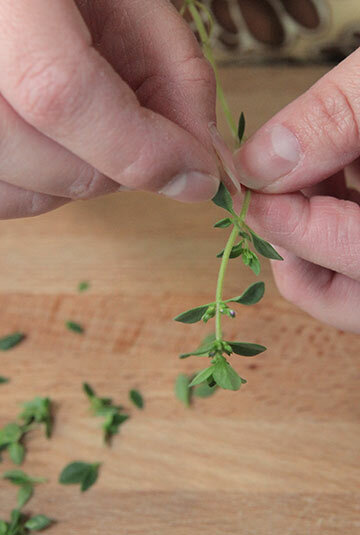 Mince 1 sprig of fresh thyme. 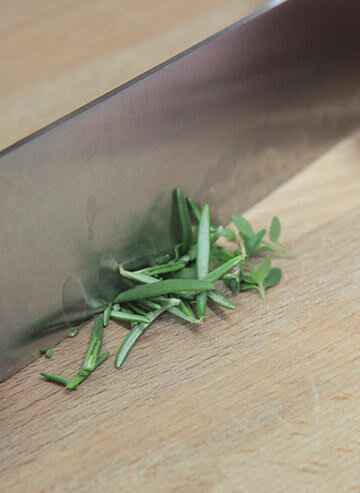 Mince 1 sprig of fresh rosemary. 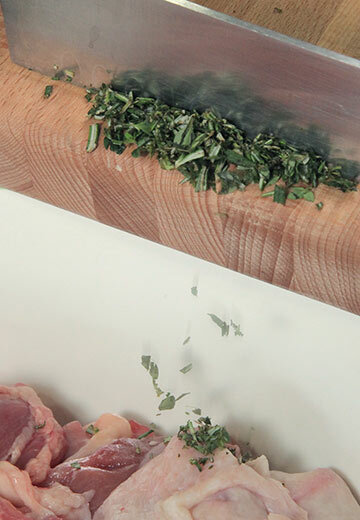 Add thyme and rosemary to the chicken. Pour in ½ t salt. 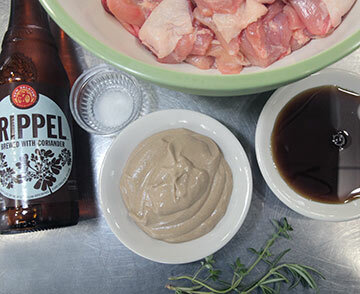 Pour in amber ale until it covers the chicken. Stir to combine. Cover and refrigerate for 2 hrs. Remove chicken from refrigerator. 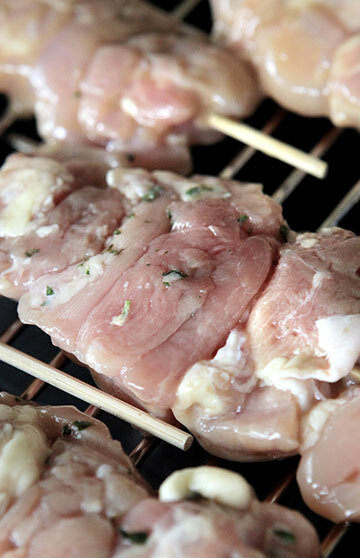 Put 4 pieces of chicken onto each wooden skewer. 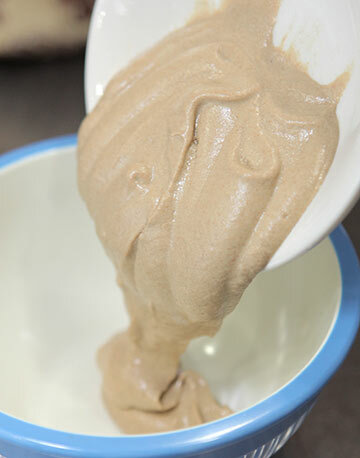 Add ½ cup Dijon mustard to a small bowl. 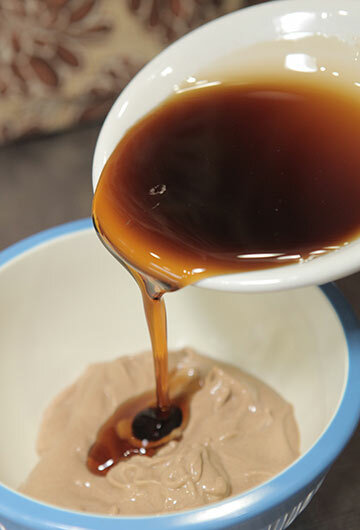 Pour in 1/3 cup of maple syrup. Baste one side of each skewer with sauce. 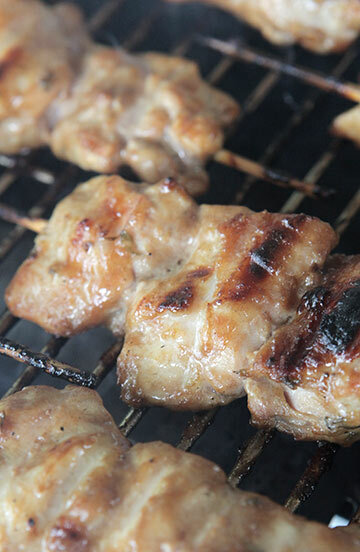 Place skewers onto hot grill, basted side down. 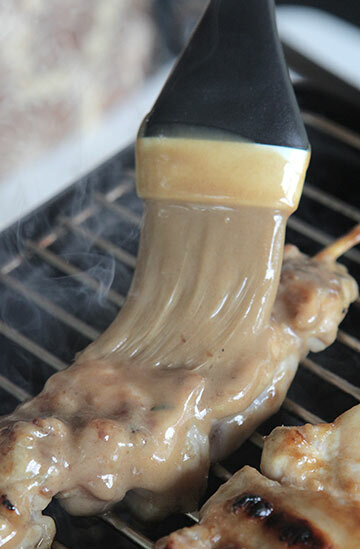 Baste the other side with the sauce. Cook for about 6 minutes, flip over, and baste. Cook for another 6 minutes, flip over and baste again. 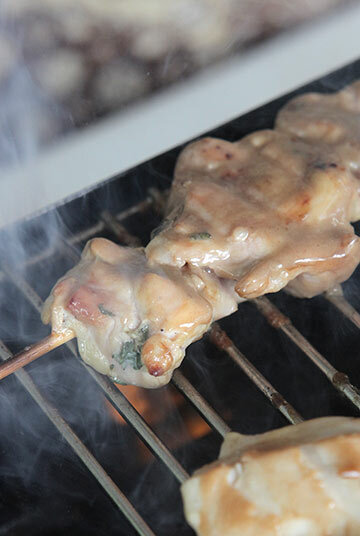 Cook for 3 minutes, and flip the skewers over again. Remove from grill and let them melt in your mouth! 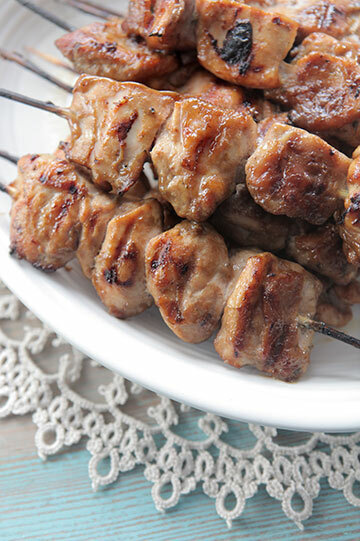 These grilled kabobs sure look “Dad Friendly” and party ready! They will make a nice alternative to the usual grilled menu of hamburgers and hotdogs. I can’t wait to try this recipe! I hope it’s ok that I pinned it so it would be easy to find. Thank you for always sharing your talent! I Agree with Winnie! This will be a great switch up to the menu. It sounds super simple to make that all chicks out there could make these and dads will enjoy are new found grilling skills! Is there a substitute that I can use instead of the beer? I sub apple juice in other recipes that call for beer with good results.